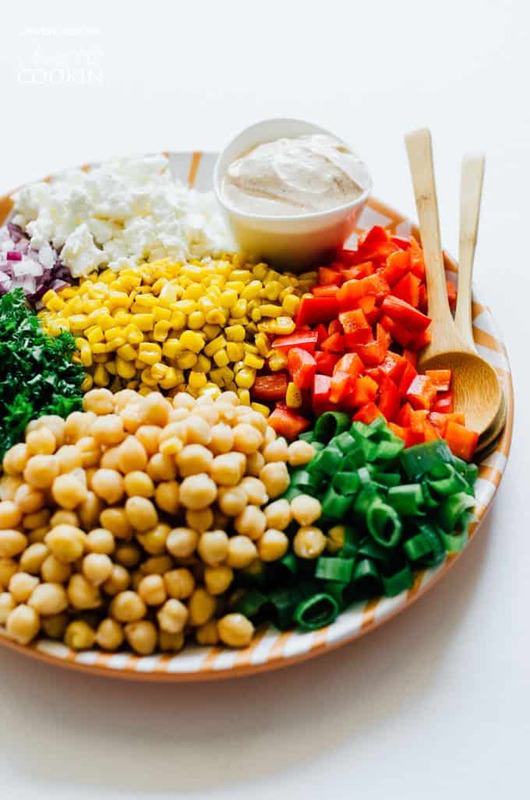 Sweetcorn and Chickpea Salad: your family will want to eat their veggies! 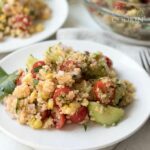 In need of a quick side dish that will make your family actually want to eat their vegetables? 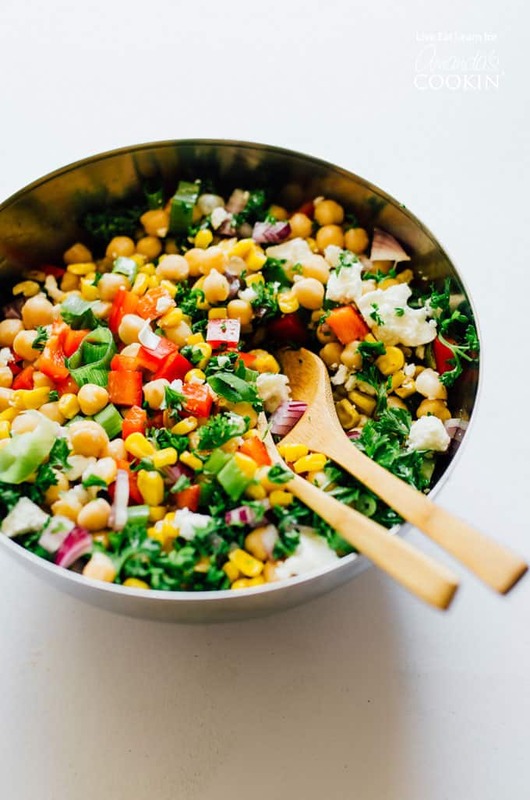 This Sweetcorn and Chickpea Salad recipe is quick to whip up and so delicious! We’re in the height of BBQ season, meaning I’ve made Spiralized Zucchini Caprese Salad no less than five times already. But I was craving a salad with a little more substance when I schemed up this recipe. 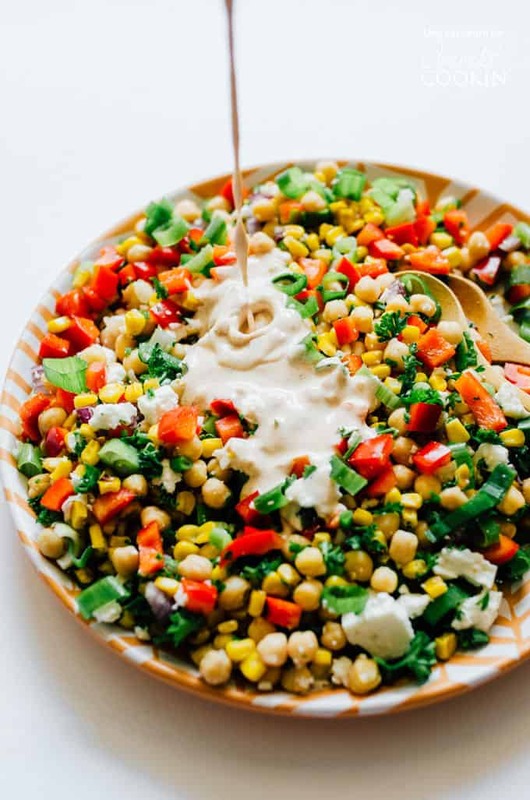 Something filling with some protein, lots of vegetables, and a creamy sauce holding it all together. And when it’s easy, filling protein I’m looking for, my instinct pulls me towards the can of chickpeas. 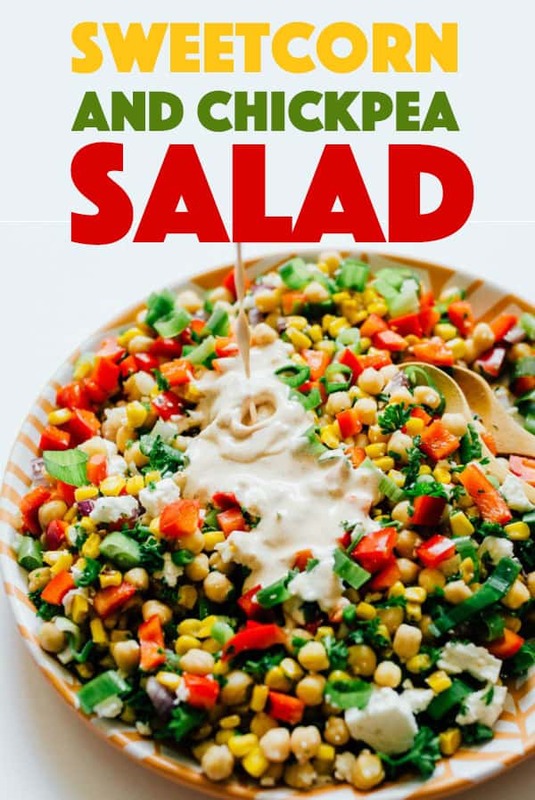 I like to cook the corn before mixing it into the salad. 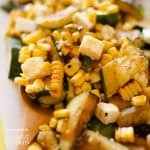 Just a few minutes on the stove brings out the naturally deep, sweetness of corn. Cook just until it begins to brown, then mix in a big serving bowl with the rest of the veggies and feta. 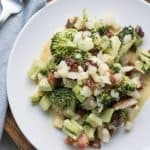 Then you’ll whip up an easy yogurt garlic sauce that is going to trans-FORM that bowl of vegetables into some amazingness. Mix it all together and serve! 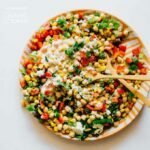 Just like with our Mexican Street Corn Salad, you can eat this by itself, or on tacos, or on sandwiches, or with a spoon (there’s no judging here). 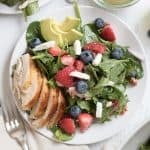 Looking for more tasty summer-inspired salad recipes for your next BBQ or gathering? Check out some of our favorites below! Heat oil in a saute pan on the stove over medium/high heat. 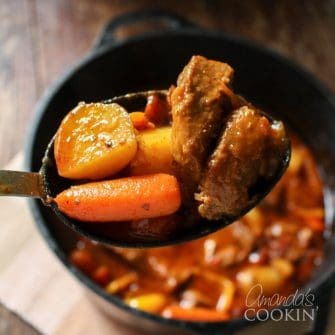 Add corn and cook, stirring frequently, until corn begins to brown on the edges, 3 to 5 minutes. In a large bowl, toss together cooked corn, chickpeas, bell pepper, red onion, green onion, parsley, and feta. In a separate bowl, mix together yogurt, lime juice, paprika, cumin, salt, pepper, and garlic. 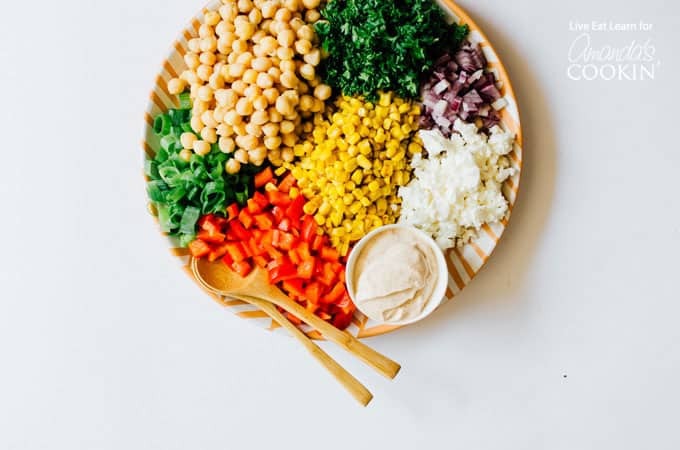 Drizzle over salad and toss to evenly combine. Serve as is (room temperature) or cold.